ABOUT THE BOOK: The Christmas Dream is the story of a little boy who loves Christmas. He loves the festivities. He loves the decorations. He loves the wonder of Christmas. He loves everything about it. One night, he falls asleep and is transported into a realm where he meets God, and God teaches him about the true meaning of Christmas. 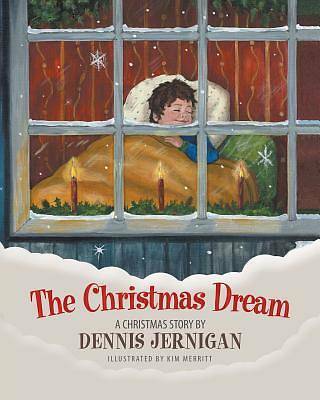 Told as an adventure, Dennis Jernigan designed The Christmas Dream as a means of teaching his own son about the meaning of Christmas. This story can serve as a valuable tool in leading your child or grandchild to a saving faith in Jesus Christ. It also serves to remind the adult reader to not stray too far from the wonder of Christmas . . . and to have a childlike faith. **** ABOUT THE AUTHOR: Dennis Jernigan is most known for his music. Songs like "You Are My All in All," "We Will Worship the Lamb of Glory," "Thank You," and "Who Can Satisfy My Soul (There Is a Fountain)" are still used widely in churches around the world. Dennis, along with his wife, Melinda, raised their nine children together on a farm in northeastern Oklahoma. Now they are investing their lives in the lives of their many grandchildren. Dennis Jernigan's children's stories were first written as a means of teaching his own children about the character and nature of God. Now that his children are grown and out of the nest, it is time for the stories to be shared with the rest of the world.